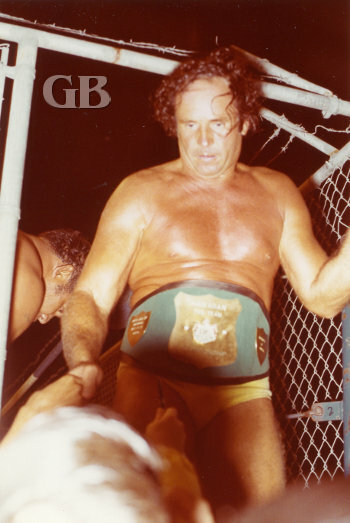 1972 brought big changes in professional wrestling in Hawaii. The Royal Development Co. sold the Civic Auditorium and the land it stood on to American Security Properties (American Security Bank) in November 1971. The new owners decided to shut the operations of the aging Civic Auditorium down in March 1972. On march 11, 1972 Promotor Ed Francis presented his last professional wrestling card held at the civic auditorium on 1314 South King Street in Honolulu. In the opening match The Mighty Brutus defeated Jackie Carlson. In another match, Jack Bence defeated Pat O' Brien. 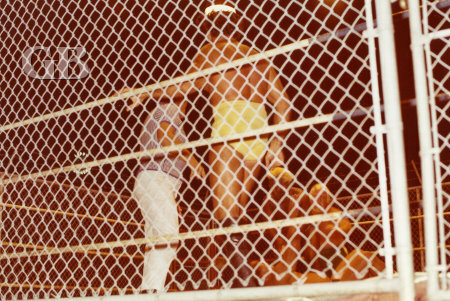 The last main event in the Civc Auditorium was a steel cage match. Note the Lippy Espinda neon sign in the upper left corner. 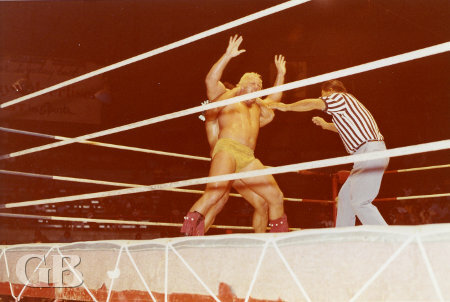 The semi-main event saw Jimmy Sunka defeat Superstar Billy Graham via a disqualification. Snuka applies the Full Nelson on Superstar Bill Graham. In the main event, Johnny Barend and Sam Steamboat defeated the team of Maddog Mayne and Sweet Daddy Siki to capture the Hawaiian tag team championship. 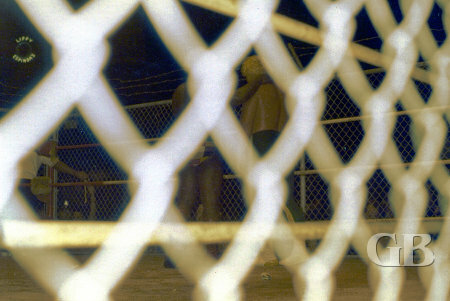 The match took place in a steel cage, with both teams being lock in and unable to escape. 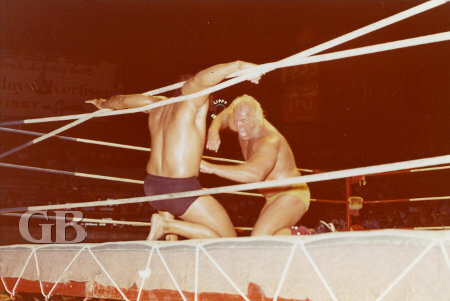 Superstar punches away at a rope entangled Jimmy Snuka. Maddog Mayne chokes Johnny Barend in the corner. 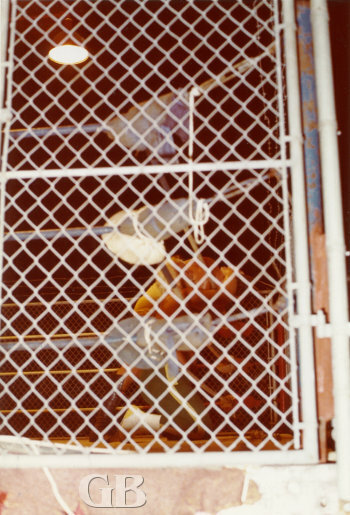 Maddog Mayne attempts to climb over the barbed wire at the top of the cage. Johnny Barend watches from the perimeter as Sweet Daddy mixes with Sam Steamboat. The former champions, Maddog Mayne and Sweet Daddy Siki. Johnny Barend wears the Hawaiian Tag Team Championship belt as he leaves the ring victorious. NOTE- After this match the Hawaiian tag team titles were put in retirement and were not defended again for over a year until the summer of 1973.